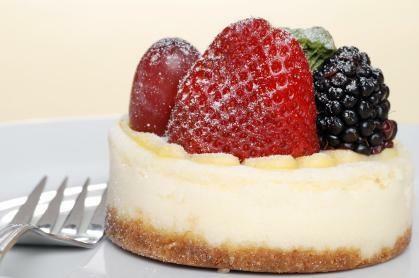 What Would You LoveToKnow About Gourmet Desserts? Gourmet desserts are decadent, rich and luxurious and yet they are often as simple as phyllo pastry filled with cream. Learning techniques, history and recipes is the essence of what it means to be a gourmet cook. Who doesn't love a little dessert? There's a saying that you cannot understand where you are going until you know where you've been. It certainly holds true in the world of desserts-the fascinating history of that first crème brûlée leads chefs to reinvent newer fusions of old favorites and new tastes. Surprisingly, it's not difficult to master gourmet techniques at home. Particularly when it comes to desserts, it's no secret that the real "trick" of making a gourmet dessert is to use the best possible ingredients. Whether you're learning how to make Tuxedo strawberries or you're learning about different types of pastry, with a little due diligence you can be a master gourmet in the kitchen! Needing recipes to impress friends for that special party? Desserts that are presented in gourmet fashion not only make you look like the hostess extraordinaire, but they really show off your culinary expertise. From cream puffs to gelato to homemade lemon meringue pie, using good recipes is a vital part of making a gourmet end-of-the-meal treat. Looking for gourmet desserts, finding techniques and creating that one of a kind fusion of delicious decadence and fresh sweetness is what gourmet desserts is all about.